Women on a Mission: Mom Edition: REDUCED PRICE MILK! 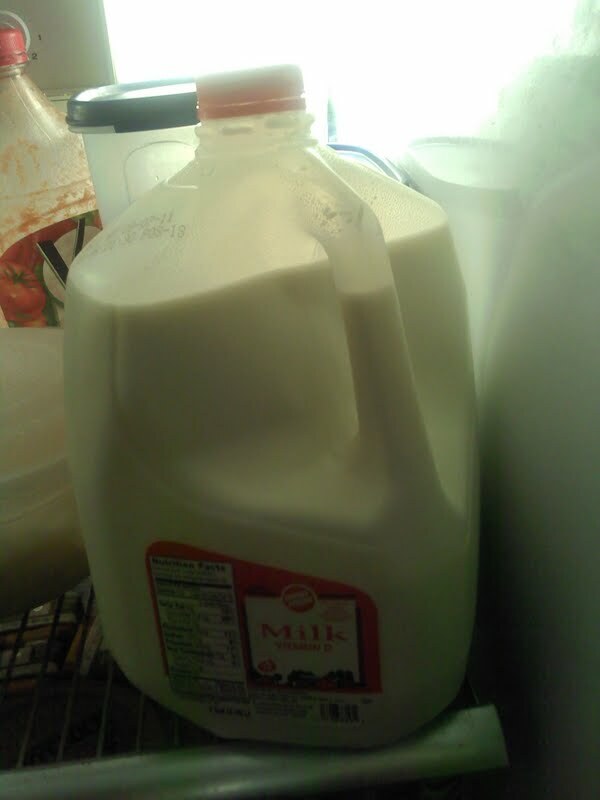 of milk—we typically go through two gallons/week (and we are ONLY a family of three!). I have noticed the price of milk continuing to rise and have also noticed the major price difference between grocery stores in western North Dakota and eastern North Dakota. I have basically sucked it up…because milk is milk and it is needed in my household (of course…I have found and used milk coupons on occasion, but these are few and far between). 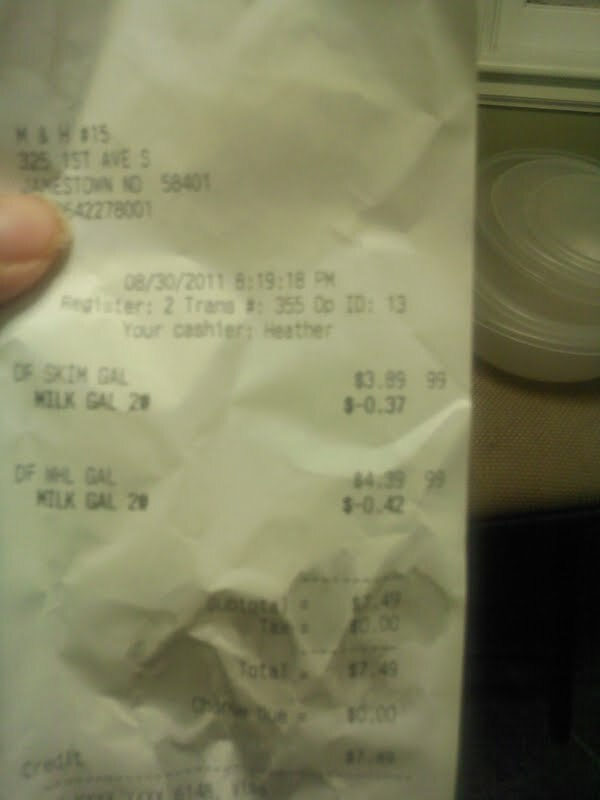 However…my dad and mom were visiting my little city, ND town recently…and informed me that they have found milk is cheaper at their local M and H gas station. It is cheaper than Wal-Mart, K-Mart, or a grocery store! REALLY? I checked it out and discovered it advertised for 2 for $6.00. And according to my dad this sale is typical. 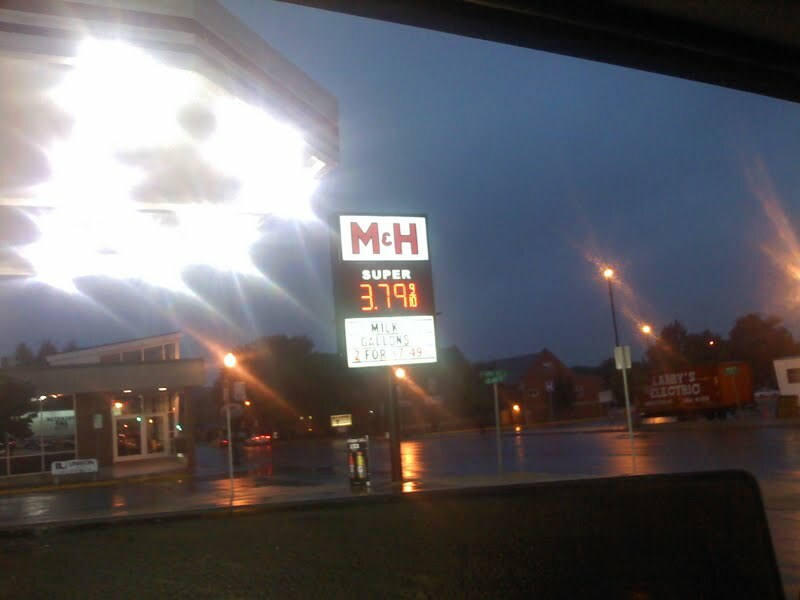 Yes, WOMS—you may or may not have this particular gas station in your town, however the message to consider is that shop around for milk deals…you never know when and where you will find milk for a reduced price (gas stations, retail chains, pharmacies, etc.). DECISION DONE! I will be price checking my milk!